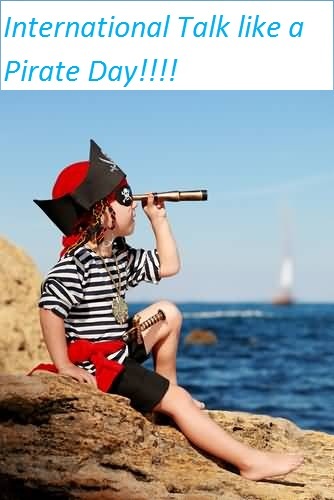 International Talk Like a Pirate Day – ITLAPD is a parody holiday celebrated for the first time in 1995 on September 19. This holiday was created by John Baur (Ol' Chumbucket) and Mark Summers (Cap'n Slappy) of Albany, Oregon, U.S., out of respect for World War II’s D-Day. However, this day was a quite low event until 2002; when it received media awareness via syndicated humor columnist Dave Barry. If you see today it is celebrated all around the world as a way to increase funds for charity organizations, Childhood Cancer Support and Marie Curie Cancer Care. On June 6, 1995, a group of men were playing racquetball with all excitement throughout the day they were shouting and encouraging each other. But for reasons unbeknownst to them, they started shouting in piratical slang at each other. From then it took on a life of its own. By the end of the game, the players realized that it was essential that they create a holiday to celebrate which encouraged the use of such a fine language. The one thing they needed was the date to celebrate, but due respect for the adherence of the Normandy landings, they chose summer’s ex-wife's birthday, as it would be easy for him to keep in mind. This was just an inside joke between the two friends John Baur and Mark Summers, but later the holiday gained publicity when John Baur and Mark Summers sent a letter about the created holiday to the American syndicated columnist and author of a great number of books Dave Barry in 2002. Barry liked the idea and he promoted the holiday, and it’s been one of the amazing years soon after another and people all over the country started celebrating this auspicious holiday. Pirates are people who commend acts of robbery and fighting at sea. This was there since the seas are open to being used to transport the goods and the people from one part of the world to other. 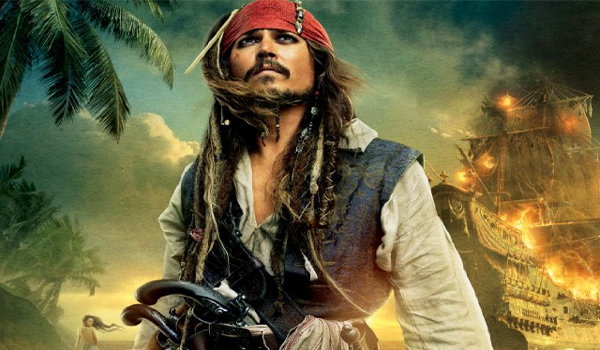 Many famous people who used to travel through sea were captured by pirates. Traditionally if we see pirates were considered to be the most disgraceful human beings. In many countries, the acts of piracy were punishable by torture and death. Even today piracy is considered as outstandingly bad crime at par with other terrible crimes such as sedition. While from the 18th century itself the image of pirates got a makeover of being cruel criminals to being a somewhat parody. They were shown with sporting eye patches, with a large colored handkerchief or a tricorne hat. They were seen always accompanied by a pet, frequently with a parrot or a monkey; they speak a special version of the English language, which is again grammatically wrong, and often interspersed with growls. 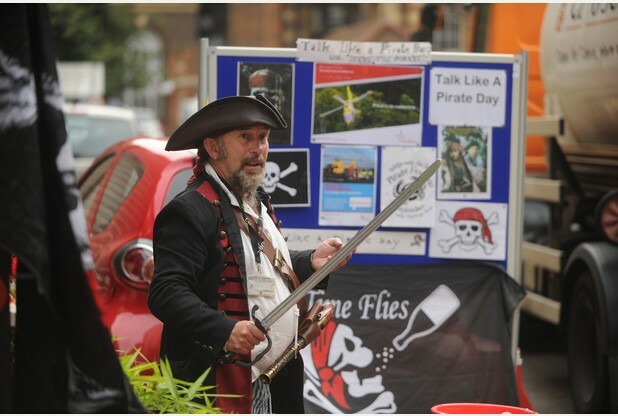 Along with kids, men and women are seen dressed like swashbuckling pirates on this day. You will have completions held in your local communities and will be eligible to grab bonus if you are able to carry a pet on your shoulder, that can be a parrot or a monkey. You will enjoy when you speak like a pirate the whole day. Mix together your speech with grunts and growls and slur your word that’s enough. Try to call your pals “matey”. No good grammar on this day. Plan your day and host a pirate-themed party and ask your guests to dress up like a pirate. A famous Englishman William Dampier was the first person to explore parts of what today Australia and he is also the first person to circumnavigate the world thrice. He is also known as the English pirate responsible for introducing many words in the English language which are still is use today. Some of those words include chopsticks, caress, posse, barbecue, and snug.